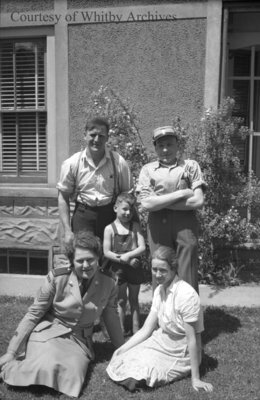 A black and white medium format negative of an unidentified family taken outside. In this view a woman in uniform and another woman are sitting on the grass. Two men and a child are standing behind them. Unidentified Family, c.1940s, Marjorie Ruddy. Whitby Archives A2013_040_419.